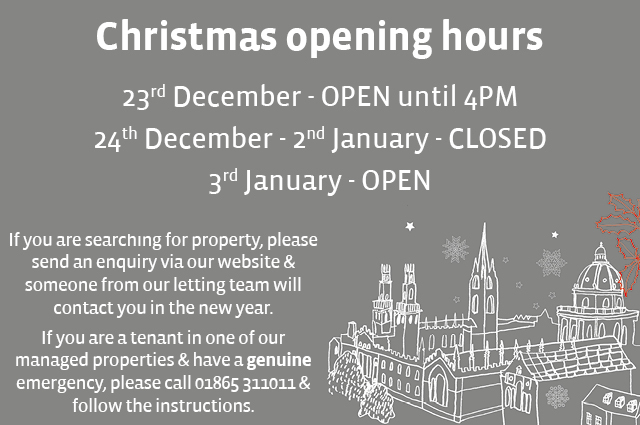 If you are searching for property, please send an enquiry via a property page and someone will contact you in the New Year. If you are a tenant in one of our managed properties and have a genuine emergency, please call 01865 311011 and follow the instructions. Whether you are going away for the holidays or staying at home, we hope you have a wonderful Christmas.